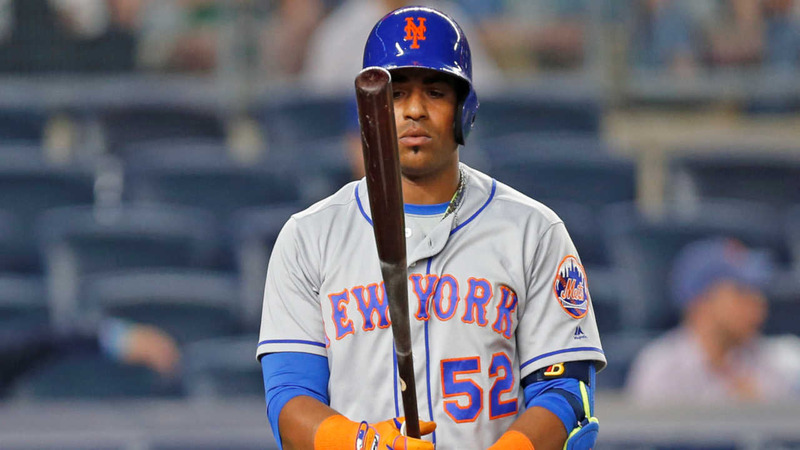 FLUSHING, Queens -- Yoenis Cespedes has opted out of the remaining two years of his contract with the New York Mets to become a free agent again, a person familiar with the decision told The Associated Press. The person spoke on condition of anonymity Saturday because the decision had not been announced. Acquired by the Mets from Detroit at the July 31 trade deadline in 2015, Cespedes had 17 home runs and 44 RBIs in 57 games with the Mets down the stretch, helping them reach the World Series for the first time since 2000. After finding a slow market in a free-agent class that also included Jason Heyward, Alex Gordon and Justin Upton, Cespedes made a surprise return to the Mets when New York agreed in January to a $75 million, three-year contract that allowed him to opt out after one season and $27.5 million. Cespedes had 31 homers and 86 RBIs in 132 games, slowed after injuring his right quadriceps on July 8. He hit one home run after Sept. 11. The 31-year-old slugger gives up $47.5 million - $23.75 million in each of the next two years. Other outfielders on the free-agent market include major league home run leader Mark Trumbo, Jose Bautista, Carlos Beltran, Josh Reddick and Matt Holliday. The Cubs' Dexter Fowler has said he will decline his mutual option and join the free agents.